I’m a proud member of a CSA (Community Supported Agriculture). It’s been an enjoyable experience. 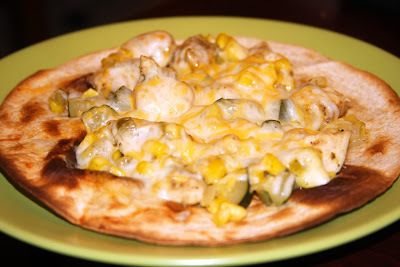 Sometimes it’s challenging, but it has really helped me to broaden my cooking, and really learn how to cook in season. 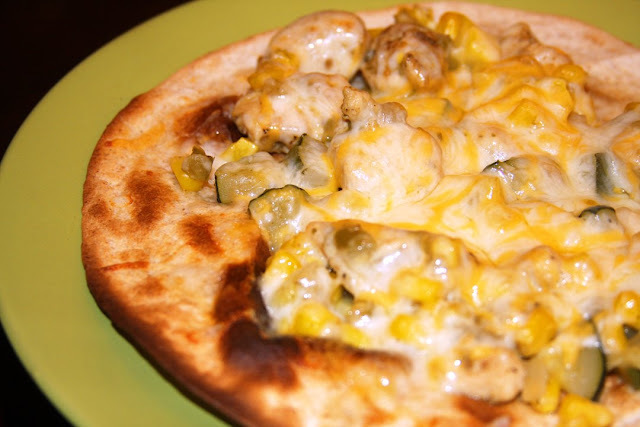 Here’s a recipe that uses great summer veggies, zucchini & corn I cut off the cob! Overall we really liked this. I know I did any way. It definitely did make 4 servings. I only ate 1, but The Boy had two. I served it with refried beans (I LOVE refried beans). This one’s a keeper!